RISMEDIA, February 13, 2009-(MCT/RISMedia)-Congress is now poised to approve a $789 billion economic recovery plan that includes billions of new dollars to help states pay education and health costs as well as tax breaks for those who buy new cars and homes. The House of Representatives could vote as soon as today (Thursday), and passage there is certain. Democratic negotiators from the House and Senate - and three key moderate Republican senators - quickly agreed Wednesday to a final compromise package. The State Fiscal Stabilization Fund, designed to help pay education expenses, was a $79 billion program in the original House stimulus package. The Senate version cut it to $39 billion; the House-Senate compromise settled on $54 billion. The House’s $20 billion school construction fund, eliminated by the Senate, remains out. Also scaled back are Senate-passed car and home tax breaks, as well as the tax rebates that President Barack Obama championed. This includes an $8,000 tax credit to first-time home buyers. The American Homeowners Grassroots Alliance (AHGA) thanked members of Congress for reaching agreement on the economic stimulus package. The Act contains numerous provisions that will help homeowners with the economic challenges faced by so many of them. The creation of a 10% first time buyer’s tax credit will help quell the worries of potential home buyers fearful of another 10% annual drop in housing values this year. A first time buyer typically generates two additional upstream sales, which will help many existing home sellers who have been unable to find buyers. It will also help clear the bloated inventory of unsold new homes and foreclosed properties owned by lenders. “The middle ground we’ve reached creates more jobs than the original Senate bill and spends less than the original House bill,” said Senate Majority Leader Harry Reid of Nevada. 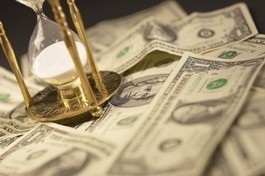 The stimulus package aims to counter an economic recession that’s entered its 15th month and shows few signs of easing. Some 3.6 million jobs have been lost during the downturn, half of them in the past three months. The bill, Obama’s first major legislative initiative, aims to create about 3.5 million new jobs. Obama, speaking at a highway construction site in Springfield, Va., made the political stakes clear. “As president, I expect to be judged - and should be judged - by the results of this program,” he said. The compromise negotiations hit only one snag. Some House Democrats, led by Speaker Nancy Pelosi, D-Calif., were angry about the spending reductions for education, but after talking to Senate leaders they agreed to move ahead. “I’m sure this (bill) will be criticized for being so large, but it is certainly no larger than the problem it confronts,” said House Appropriations Committee Chairman David Obey, D-Wis. The measure is expected to win support from virtually all Democrats and a handful of moderate Republicans. The final compromise was largely shaped by two forces: the White House, represented at the bargaining by chief of staff Rahm Emanuel, and moderate GOP senators Olympia Snowe and Susan Collins of Maine and Arlen Specter of Pennsylvania. Since Democrats control 58 Senate seats, and 60 votes are needed under Senate rules to overcome procedural hurdles, support from at least two Republicans remains crucial. Lawmakers were confident that they’ll have the bill on Obama’s desk so he can sign it on Monday, Presidents Day. The White House made it clear that it wanted some of the education money restored. Emanuel and Budget Director Peter Orszag met privately with lawmakers, and the result was the $54 billion compromise, which can be used for school modernization and other expenses, according to Collins. Also important to the moderates was the overall cost of the bill. Obama said he wanted something in the $800 billion range, but the Republicans insisted that some tax cuts be preserved. So the $70 billion “patch” in the alternative minimum tax this year was preserved. Two Senate-approved tax breaks were scaled back, however, though it wasn’t clear how much. The measure provides help for buyers of cars and homes. The price, though, was a favorite Obama tax break. The “Making Work Pay” tax credit, a $500 rebate he proposed for 95 percent of taxpayers, was cut back to $400. There was general agreement on a number of other items. Highway, bridge and other infrastructure spending will total about $49 billion, while states will get about $90 billion to help Medicaid subsidize health care for the poor and disabled. The negotiators also agreed to subsidize health care under the COBRA insurance program for nine months, at a cost of $21.4 billion, as well as an additional 20 to 33 weeks of jobless benefits in high-unemployment states. Republican congressional leaders were annoyed at the process and the product. “My question is what is the majority trying to hide by never allowing any ventilation of ideas, any discussion of what we have brought forward as the Republican vision to stimulate this economy,” complained House Minority Whip Eric Cantor of Virginia. Senate Republicans are expected to try to delay final passage with some procedural measures on Thursday, but a final Senate vote is nonetheless expected on Friday.